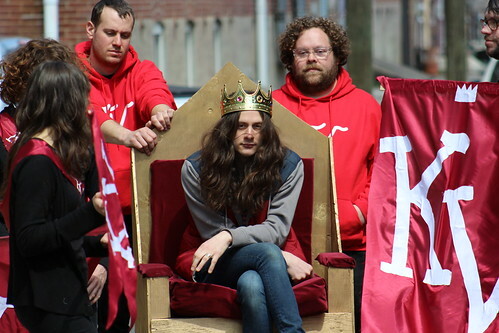 New Music Video: "KV Crimes" - Kurt Vile & Aug. 28 Officially Declared Kurt Vile Day in Philly! 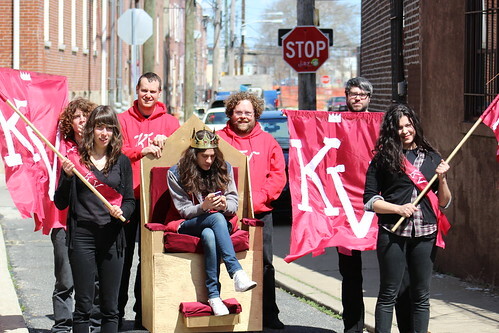 Matador Records just shared the new music video from Kurt Vile for the track "KV Crimes," which was directed by The Best Show on WFMU's Tom Scharpling. 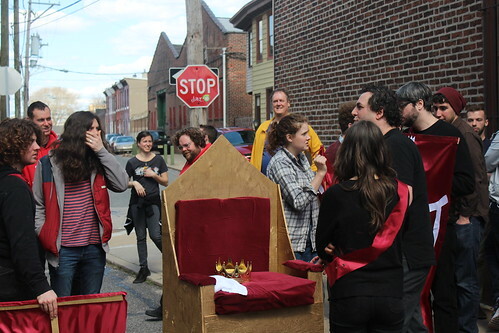 Yes, this is the one that you gathered together for the parade in Fishtown. We love that Wawa's hoagies were represented! 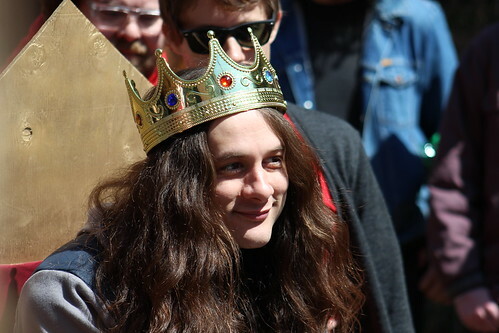 Also, on August 28, Mayor Nutter has officially declared it to be Kurt Vile Day. Vile will be playing a free solo concert in City Hall Courtyard (5:30pm) for the season finale of the City Hall Presents summer concert series. 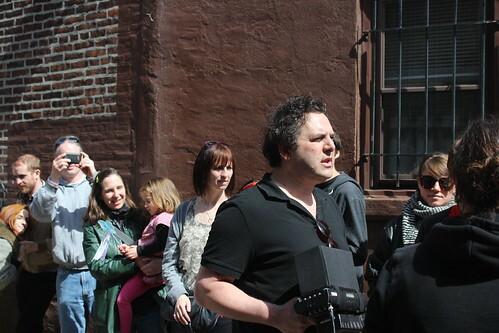 Before his set, the City of Philadelphia will present him with the Liberty Bell Award, the highest honor the City can bestow upon one of its citizens. The award is given only to native Philadelphians for recognition of outstanding professional achievements and civic generosity. 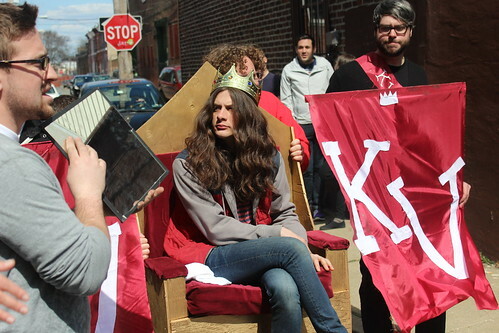 Yeah, it's safe to say that Kurt Vile and the Philly indie music community has come a long way in the last few years. Much love! 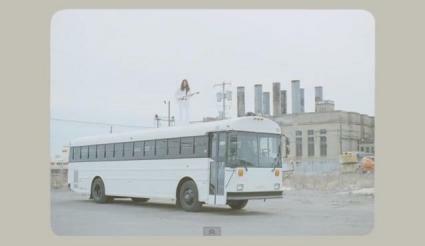 Check out Kurt Vile cruising down Front St. sporting his best whites in his new music video for "Never Run Away"! 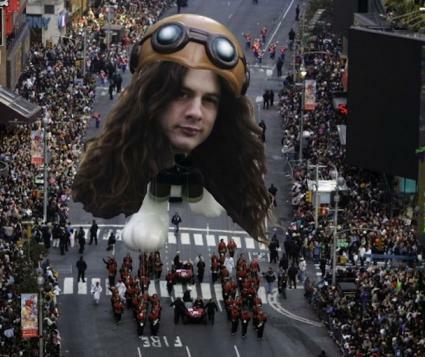 It was directed by HARRYS. 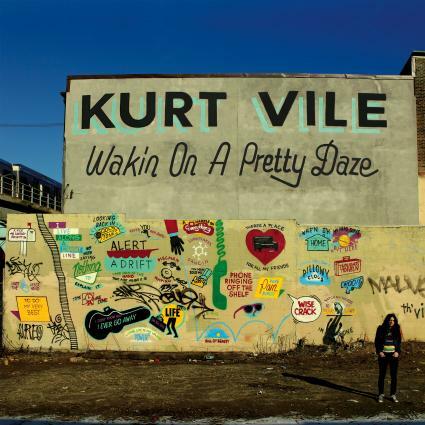 With his new record Wakin On A Pretty Daze (Matador), Kurt Vile continues his spellbinding nature. The follow-up to 2011’s Smoke Ring for My Halo, once again, finds legendary producer John Agnello assuming the reins, guiding Philly’s “constant hitmaker” on his latest journey. 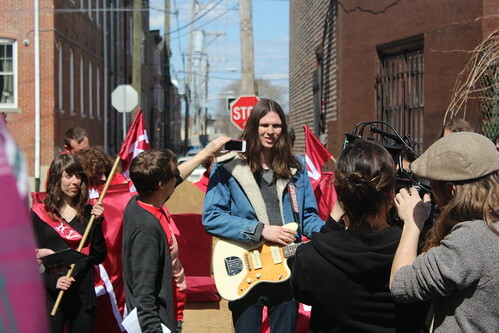 The album begins with the epic nine-plus-minutes song, “Wakin on a Pretty Day,” in which Vile confesses his intentions - “Waking the dawn of day, I gotta think about what I want to say…it’s hard to explain my hurt in this daze.” Laced between an eerily comfortable marriage of familiar mercurial electric and steadily strumming acoustic guitars, Vile’s alluring, hazy comforts draw you in as the song raises you out of your slumber. As he lifts the sleep from your eyes, the prolific songwriter announces his intentions in the following track “KV Crimes” - amid a raunchy guitar riff and a steady percussive backdrop - “that’s fine I think I’m ready to claim what’s rightfully mine” - injecting short bursts of guitar as if to flex his muscle. “Never Run Away” is one of the songs that grabs you instantaneously in its addictive simplicity - an effortlessly clean acoustic strumming pattern matched with an equal to the task drumbeat and Vile’s drawn-out spoken/sung vocals that have long been compared to the legendary Lou Reed. It’s a casual groove that seems to tighten up with every additional listen. While “Pure Pain” continues an ongoing trend of establishing a musical identity riff/percussion/vocal, it has a surprising shift as if the guitar decides to uproot. As you hear Vile’s changes purposely dragging along the neck, a marching beat comes to the forefront, leading way to a short elegant solo before he backtracks into its previously assumed position, and then as if battling itself, shape shifts yet again.